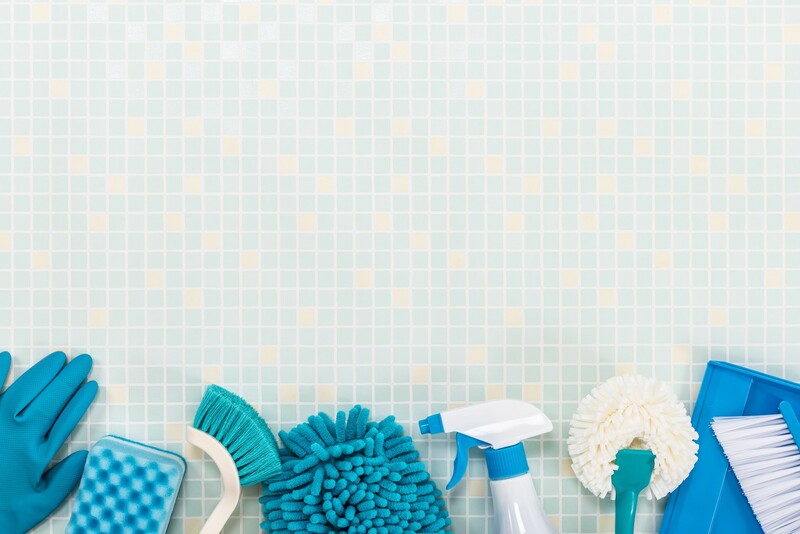 Tile cleaning is no one’s favorite chore, yet we can hardly choose to neglect the task; we simply have too many house guests to impress to have our homes looking anything but spotless. And, vanity aside, we can’t have mold building up on (or between) our tiles because our health is of the utmost importance. Even so, the task is no less daunting, and we sometimes find ourselves scrubbing our lives away only to be left with dingy-looking grout and sore arms. Since we know you’re tired of walking away from your tile and grout with looks of dissatisfaction, we decided to put together a list of some of the best (and worst) grout cleaning tips. Baking soda has been championed as some sort of holy grail of cleansers (and deodorizers) for years now, and for good reason. It also happens to be a natural alternative to the more toxic commercial cleansers out there. While there are certainly other ways in which you can use baking soda for tile cleaning, many proponents of baking soda recommend that you combine it with water in order to make a paste. If you’re confused about just how to apply the paste, there are several sources online that detail the application process. One woman, for instance, describes just how she distributed her baking soda paste along the lines of the grout, took an old toothbrush, and began brushing over the paste. Vinegar, like baking soda, has also gotten a good reputation as a cleanser. Some people prefer to dilute their baking soda by mixing it with water, while there are many others who prefer to become real “mixologists.” Consequently, there are several vinegar concoctions (some containing mixtures of vinegar, dishwashing liquid, and baking soda) online. Although many people who have had success with such mixtures, we do recommend that you do your research before getting so creative with your tile cleaning routines; some chemicals don’t play well together. Further still, vinegar has been know to damage tile grout, which means that frequent use of vinegar solutions will eventually do more harm than good. If you’re someone who dislikes cleaning your tiles by hand (i.e. everyone), you probably won’t regret purchasing a steam cleaner. As its name suggests, a steam cleaner emits steam in order to soften (and thereby loosen) the grime between your tiles. As an added bonus, steam cleaners also have many other uses around the house. Not only are steam cleaners highly efficient at what they do, but they’re also a chemical-free option for those who are looking to avoid hazardous chemicals. Despite all of the benefits of using steam cleaners, however, there are a couple of major drawbacks to doing so. First of all, like a few of the other methods listed here, steam cleaners inevitably cause some damage to grout. As a result, we recommend that you limit your use of steam cleaners. Secondly, steam cleaners also remove grout sealant, which means that you’ll have to reapply the sealant after you’ve finished cleaning your tiles. Unfortunately, some of us really can’t be bothered with home remedies, not because we think they’re ineffective or inferior, but because we’re just not motivated enough to concoct our own cleansers. Especially when we have so many commercial options available to us that claim to make tile cleaning easy. The only downside here is that commercial cleansers tend to be pricier than home remedies (and a lot less “green”). Although this solution sounds like a cop-out, sometimes your grout is beyond saving; regardless of how hard you scrub, the dirt just won’t budge. Obviously, removing and replacing grout is a lot harder than simply cleaning it, but if you go this route and maintain your new grout well, you shouldn’t have any problems keeping your tiles clean. Bleach is a fan favorite, and not just for cleaning tiles; almost everyone reaches for the bleach when the time for serious cleaning comes. Indeed, bleach is a great cleanser, and using it is fine if you don’t mind replacing your grout more frequently than other people. In other words, bleach damages grout. And tile. Taking this into consideration, we don’t recommend bleach as a frequent cleanser. Alright. We have no idea how people come up with some of these ideas, but, apparently, someone has on it on record that sandpaper works well for cleaning grout. Of course, sandpaper doesn’t sound as if it would be good for your tiles. Still, we don’t doubt that it does wonders for cleaning grout. Oh, and pencil erasers also apparently work magic on grout. Needless to say, you should try these things at your own risk. Widely regarded as a natural mold inhibitor, tea tree oil has become popular among those who prefer to use natural products, so its presence on this list will come as no surprise to some of you. That said, however, while tea tree oil certainly has its uses elsewhere, there is some doubt as to whether or not the oil is actually ideal for tile cleaning. Although there are more than a few people who claim that tea tree oil removes mold from between their bathroom tiles, there are others still who see no results after using it. Furthermore, some people actually say that it makes cleaning their tiles more difficult. One woman, for example, claimed that cleaning the mildew off of her tiles became more of a challenge after she left a homemade tea tree oil solution on her tiles. Of course, you’re welcome to try this home remedy, though if you do, remember not to use large quantities of tea tree oil; it is an essential oil, which means that it is extremely potent. We know: Despite all of these tips, tile cleaning is still a dreadful task, and, as it turns out, choosing a cleanser is not the simplest thing in the world. Still, skimping on those cleaning sessions isn’t going to help you maintain a healthy living environment, and, as we stated before, your health is a top priority. Which is you why you should take care to clean your tiles every now and then. When you do decide to pick up some cleaner, you can take solace in the fact that we’ve got you covered. If you have any additional questions regarding how to clean tile and grout, contact our flooring specialists here at All Star Steam Cleaning at 850-871-2922. Not ready to tackle the ceramic tile and grout cleaning on your own? We can handle that for you.